Whiplash is a hyper-visual utility gimmick that will let you vanish, transpose, and transform cards. 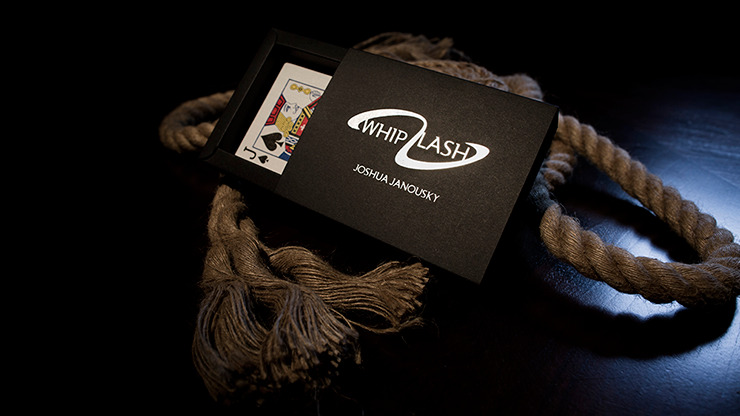 Learn Josh Janousky's signature routine with the Whiplash gimmick: Whipped Across, his take on the cards across plot. 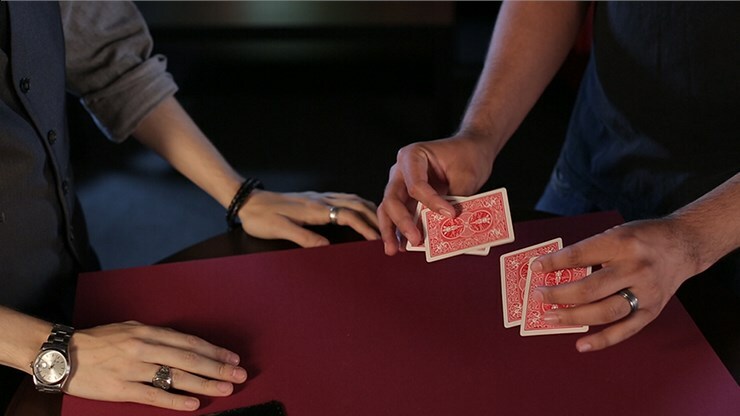 Cards visibly vanish and reappear one by one at the fingertips, the final occurring in a spectator's hands. Also, learn an updated variation of Oil and Water, a multi-phase sandwich routine, and a Monte game with a killer kicker ending. 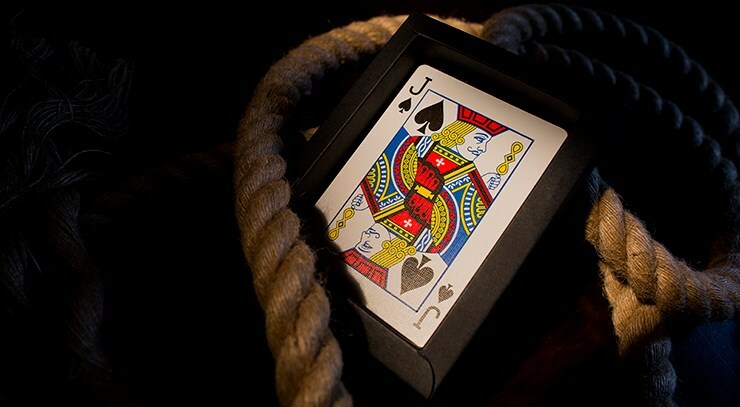 You will receive a custom gimmick printed by the United States Playing Card Company, ready to go immediately. In addition to the four routines, Josh shares how to repair and customize your gimmick - a new feature for gimmicks of this nature. 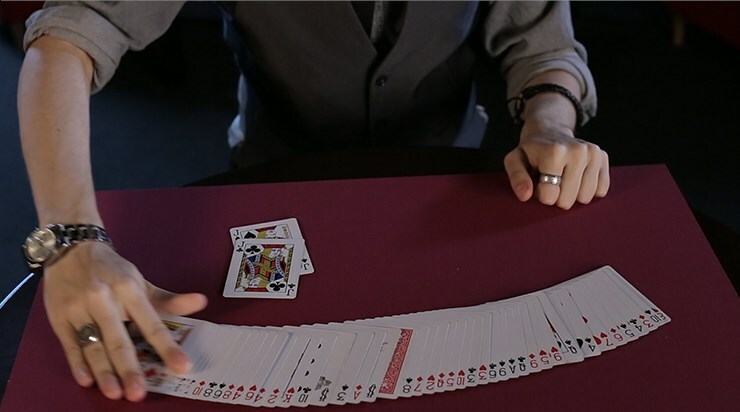 It's an entire lesson on splitting cards, and is worth the price of the download alone. With kind permission from Mark Mason. 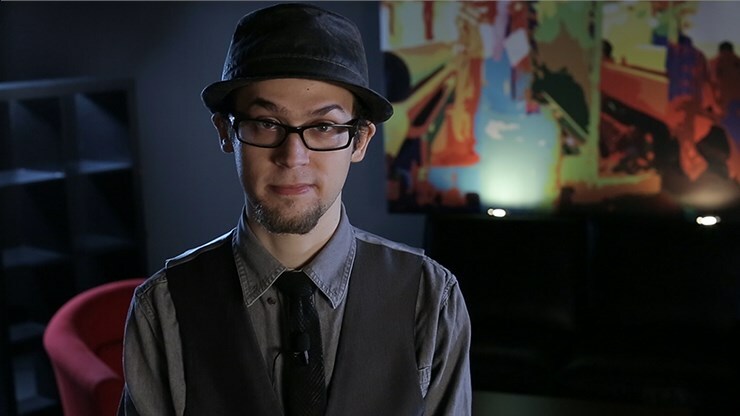 Thank you to Mathieu Bich and Eric Jones. Cards are Maidens back design (very similar to Bicycle). Truly an amazing effect and very visual. He goes in depth with the explanation and make sure he goes over every little thing. 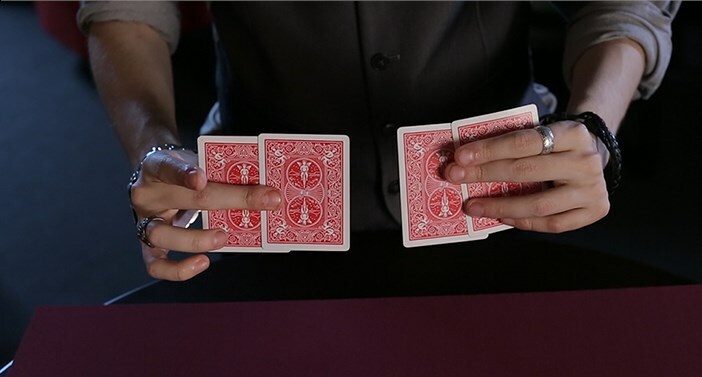 A perfect routine for anyones 4 card routine!